The Bubblegum big book house incorporates 7 slots for storing children’s books in a fun and creative way. Designed for use in schools, pre-schools and nurseries. 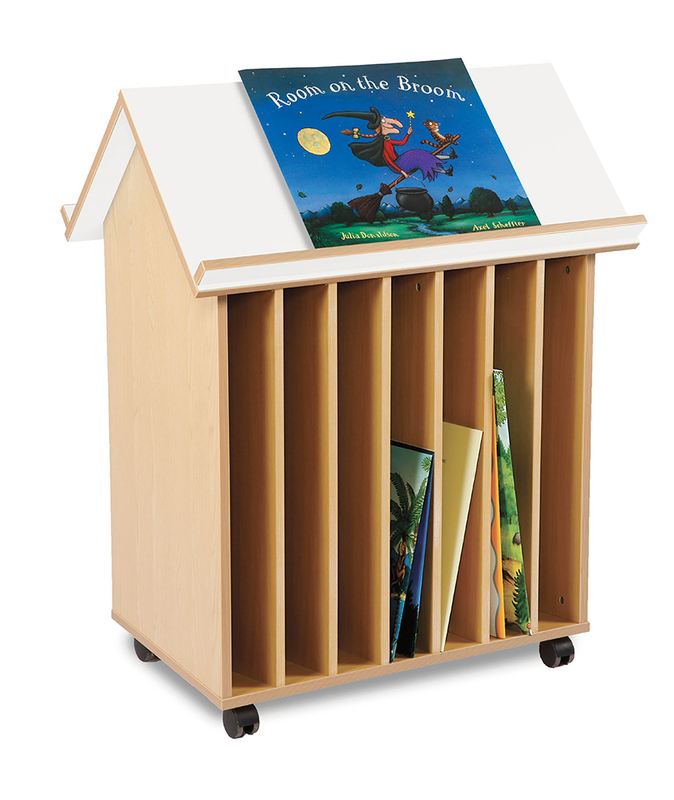 The Bubblegum big book storage unit can be situated in a school library or in a classroom reading corner. Constructed from 18mm MFC in modern Japanese Ash finish, it comes with easy glide castor wheels for smooth and hassle free mobility. 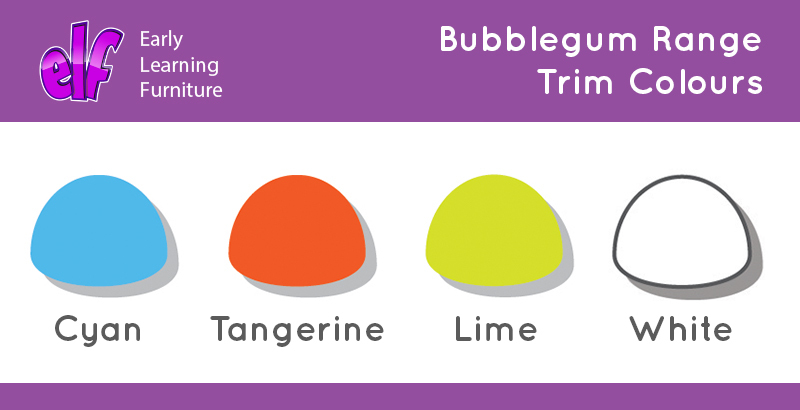 Choose from 4 eye catching roof trim colours – cyan, tangerine, lime and white. Perfect for adding a splash of colour to your early years' reading environment. 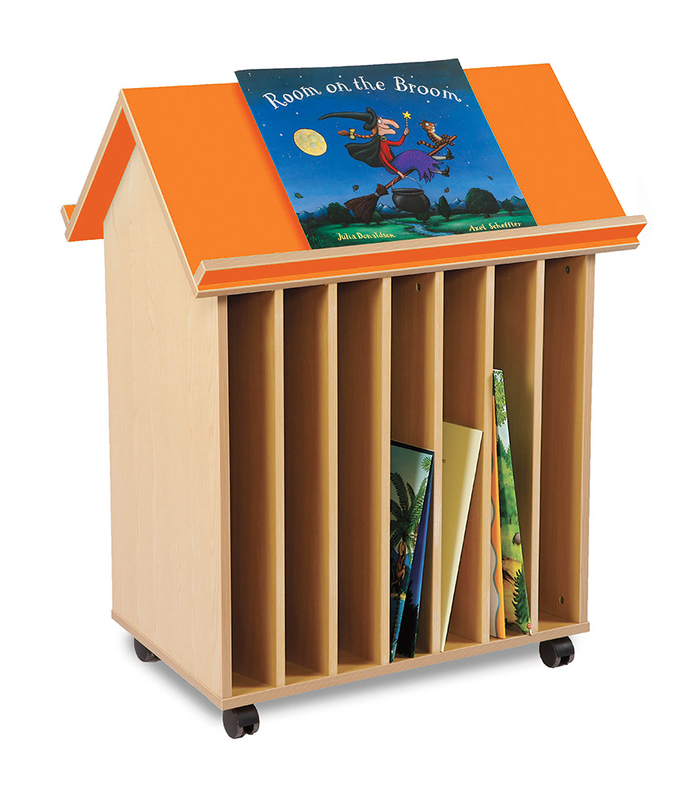 View our full range of Book Storage.